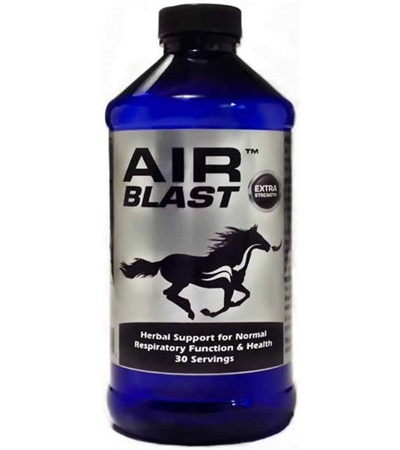 Air Blast 30 doses - Jacks Inc. Ingredients: Mullein extract, Eucalyptus extract, Elecampane extract, Ginger extract, Nettle extract, Peppermint extract and Menthol Crystals. 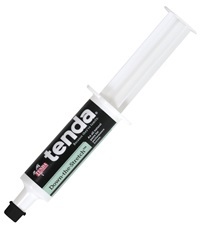 Dosage: 15cc daily and 50cc as close to the event as rules will allow. 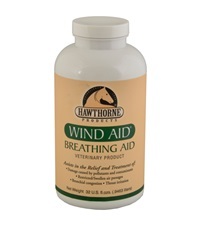 Bleeders or other severe respiratory conditions give 15cc twice daily. 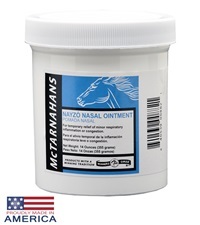 McTarnahans® Nayzo Nasal Ointment 14 oz. 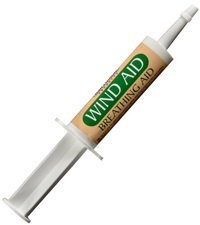 Wind Aid® Syringe 1 oz. 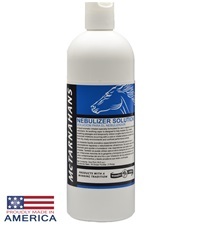 McTarnahans® Nebulizer Solution 16 oz.